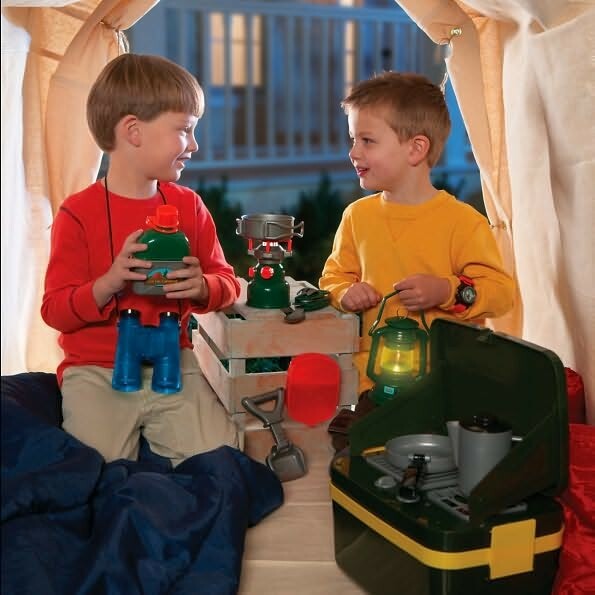 Have fun and enjoy your camping alone, with your stuffed animals, or with your friends playing with this pretend camp set for kids. 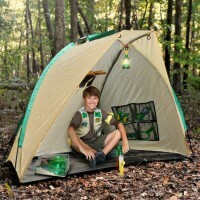 Young people and their parents sometimes need to take a break from their busy lives, and go camping. 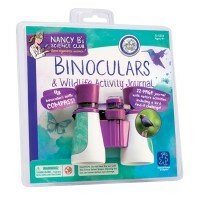 The campground is always a quiet place, where nature dominates, and campers seem to blend in to their environment. 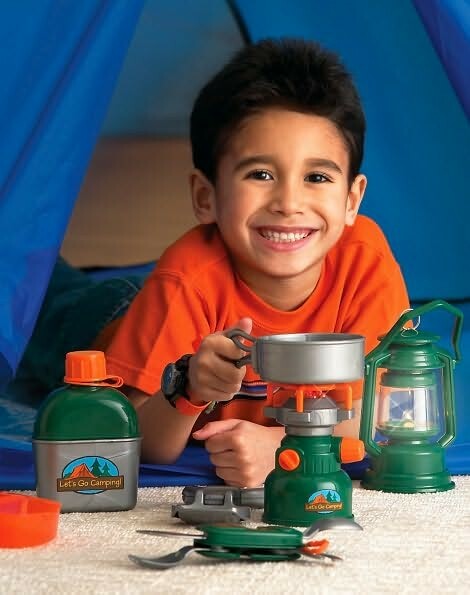 If you don't have time for a long trip, you can still go pretend and play camping in the backyard or without leaving your house! 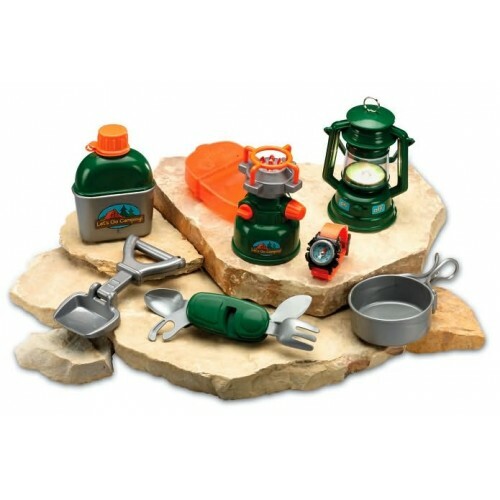 With the help of the award-winning children Camp Set Toy Camping Kit by Learning Resources, you can transform any place into a fascinating campground. 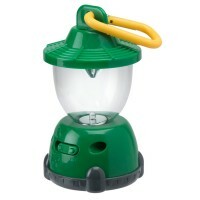 Light the lantern and take your working compass to explore. 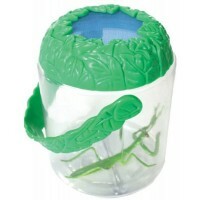 Don't forget the cool looking water bottle for your hike. 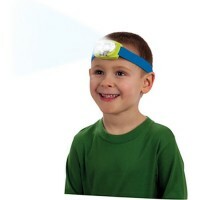 And, just in case, there is a first aid kit included. 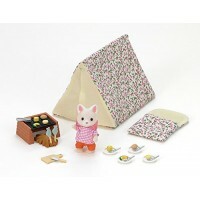 Cook your food on a neat stove using the included utensils, pan with folding handle. 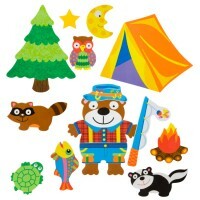 Have fun and enjoy your camping alone, with your stuffed animals, or with your friends! 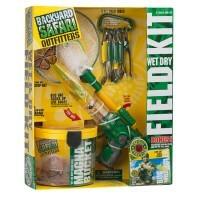 This first children camping kit is a great introduction to the outdoor exploration and camping travel. 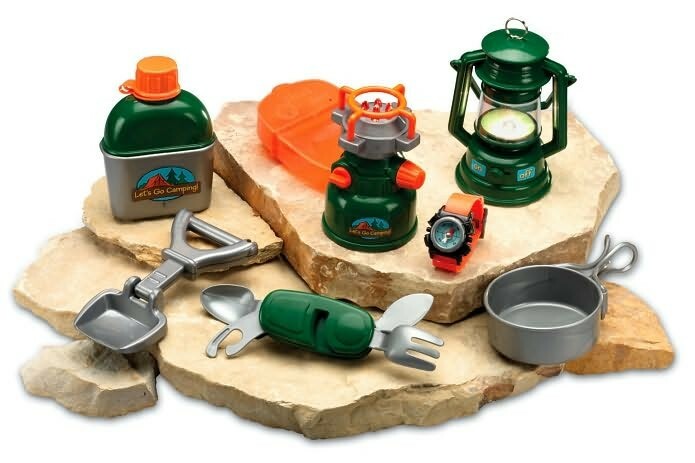 The 9 pieces camping set also works great for junior scout programs. 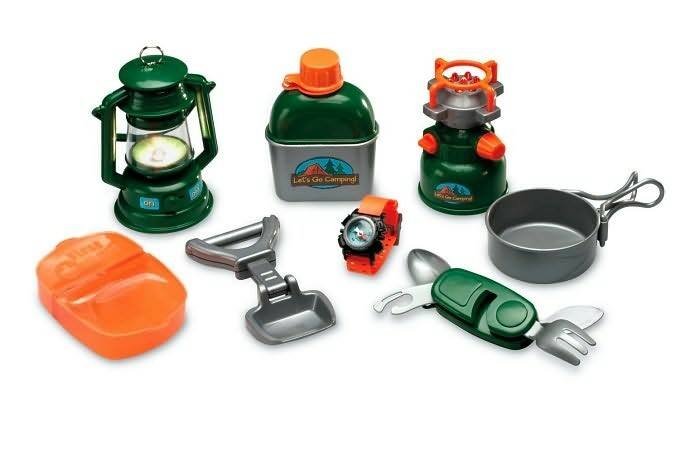 Lantern and stove from this Camp Set Toy Camping Kit require 2 AA batteries each (not included. 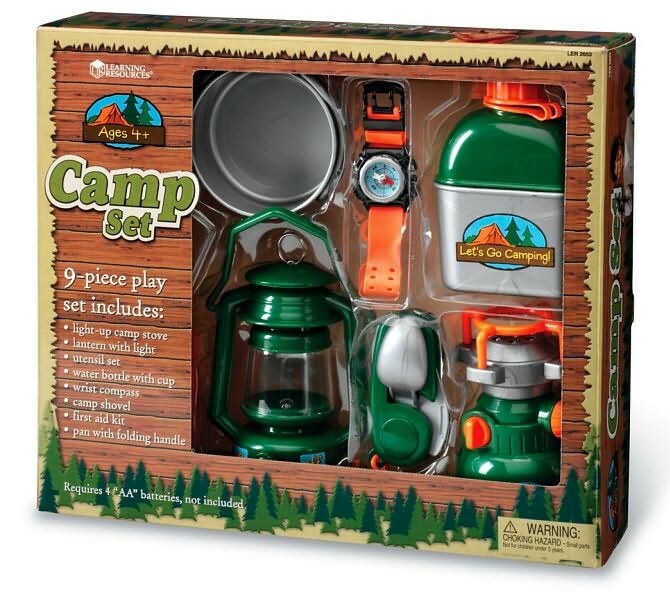 Dimensions of package 12.01" x 14.02" x 3.62"
Write your own review of Camp Set Toy Camping Kit.